Details : We have a ‘dedicated Caravan & Motorhome area’ at Quarry Walk Park. 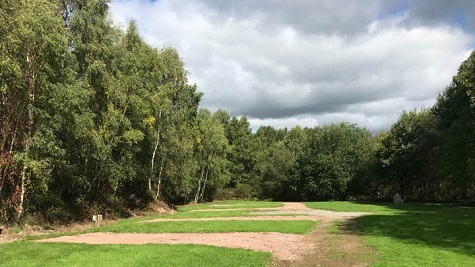 This quiet, secluded area of woodland, grass and heather has a variety of woodland trails within it's 46 acre boundary allowing you to fully appreciate the surrounding scenery and is home to an abundance of wildlife including rabbits, squirrels, woodpeckers, badgers and many more. Nearby we have the Peak District, Chatsworth House, Potteries at Stoke on Trent, Churnet Valley Railway, Uttoxeter Race Course and Alton Towers. More information on our Web Site. 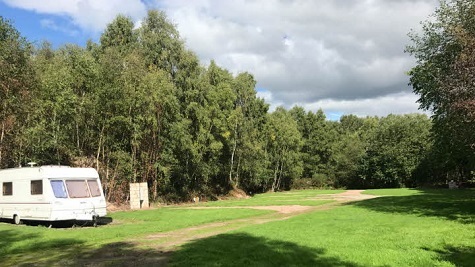 Facilities : Electric hook up available, Easy access, Suitable for Caravans and Motorhomes, Grass and Hardstanding pitches enhanced, Scenic views, Toilet, Shower, Laundry facilities, Wi-Fi charge, Shop nearby, Dogs allowed, TV reception good. Self catering Lodges & Cabins, Camping , and Glamping available full details on our Web Site. Directions : From Cheadle town centre head south on the A522. After about 1 mile turn left into Freehay Road signpost Freehay and follow brown signs for Quarry Park. Proceed straight over crossroads then turn right on the roundabout opposite The Queens into Coppice Lane. Site is on the right in approximately 1 mile.